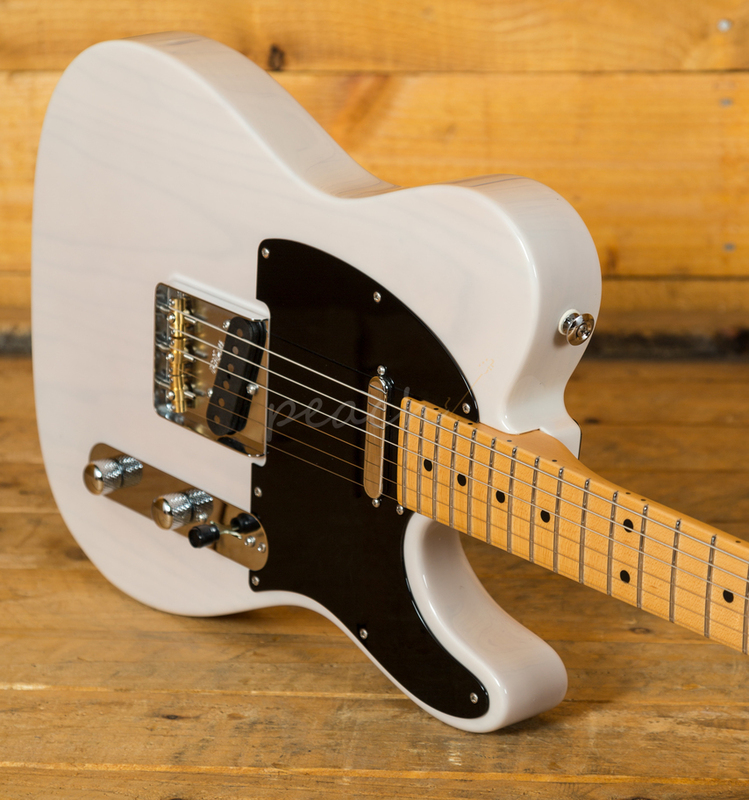 If you are looking for that vintage vibe and feel without compromising on playability and tone, look no further than the Suhr Classic T Pro. 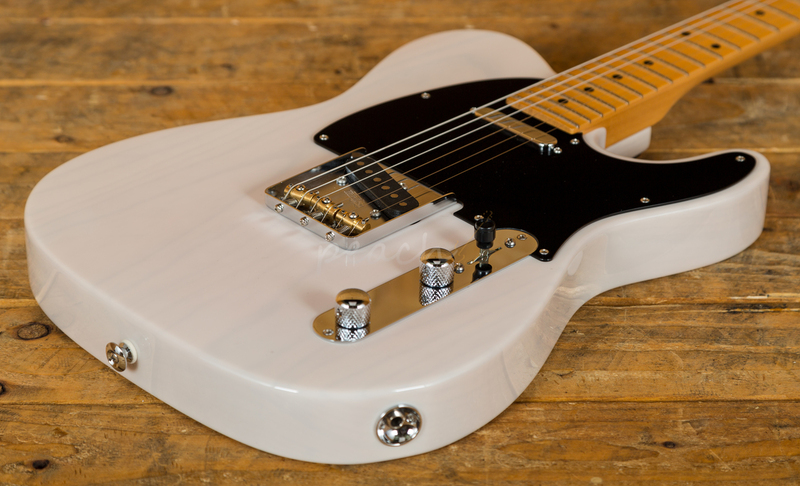 These guitars feature all the vintage elements we all love but back it up with super stable and reliable modern-day benefits. Unlike the ever-popular Classic T Antique, the Pro does not feature the aged finish. 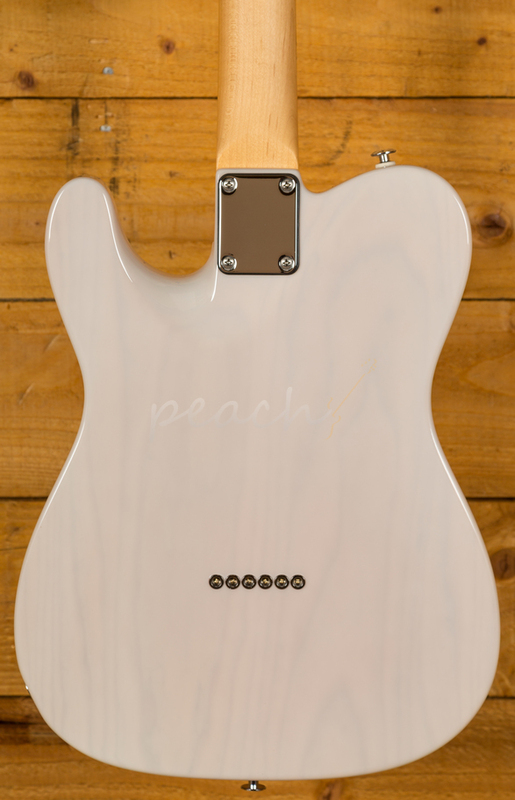 Instead boasting an immaculate, protective and tone considerate thin layer finish over a Swamp Ash body. This one is finished in a beautiful Trans White. 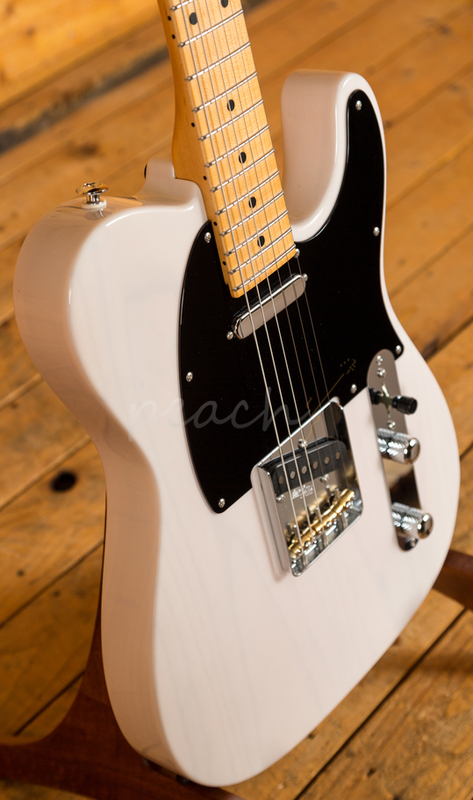 The Maple neck is also tinted and finished in nitro for a smooth, slick feel. With a C medium profile, a compound 9''-12'' radius and a Maple fingerboard this is a substantial but real comfortable guitar. 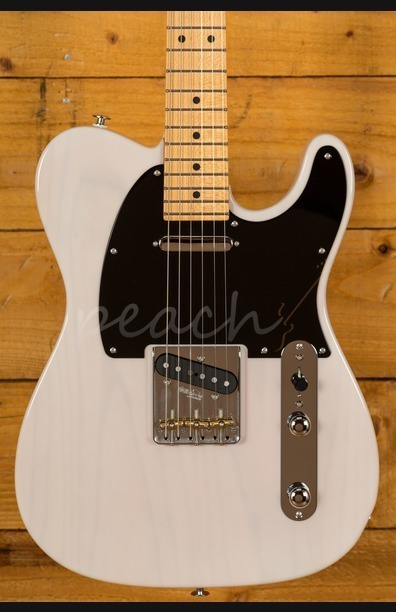 Benefitting from a pair of Classic T pickups it replicates those famous Tele tones, rich, punchy and ready to growl, it's a versatile and adaptable set up which is boosted by the Suhr SSCII, a completely transparent noise reduction system. Installed inside the body, it reduces 60 cycle hum and has no effect on tone, it just helps keep those crystal clear tones ringing!